Cheese can be friendly to those who are sensitive or intolerant to lactose. However, not all cheese is built the same. As a cheese ages, the lactose converts to lactic acid. Aged cheeses like sharp Cheddar, Swiss, and Parmesan naturally contain very little lactose and can be consumed by many people who are sensitive to lactose. Soft cheeses have more lactose since they typically are not aged. Some of these cheeses included cottage cheese, mozzarella, cream cheese, American, and ricotta. You can determine the amount of lactose in a cheese by looking at the nutrition label if available. Lactose is the natural sugar found in milk. Milk is the main ingredient used to make cheese. The amount of lactose in a cheese will be reflected as sugar on the nutrition label. The lower the sugar on the label, the lower the lactose. For example, a cheese that shows 0 grams of sugar will have less than .5 grams of lactose. Lactaid – The company makes a lactose-free lowfat cottage cheese with lactase as an ingredient. Other lactose-free dairy include ice cream, milk, and eggnog. Green Valley Organics – Green Valley produces a lactose-free cream cheese. 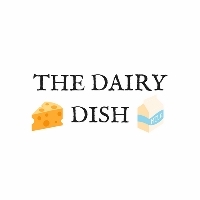 They also specialize in making other lactose-free dairy products like yogurt, sour cream, butter, and kefir. Arla Lactofree – Arla makes lactose-free cheddar cheese and a soft white cheese. Additionally, the company produces lactose-free yogurt, milk, cream, and a butter blend. Liddells – They provide cream cheese, Colby slices, block cheese, and shredded cheese that are lactose-free. Liddells also makes an assortment of other lactose-free dairy like milk, cream, sour cream, yogurt, and custard.